Nation of the Beasts is a bewitching fantasy novel—both bold and exciting. 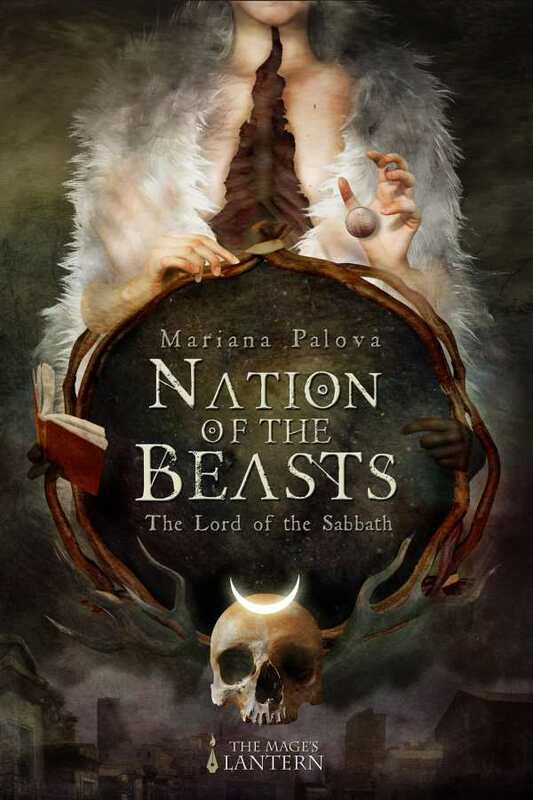 Mariana Palova’s Nation of the Beasts is a supernatural coming-of-age story, full of action and family bonds. Ever since he was a child, Elisse could see things that other people couldn’t. Disturbing, grotesque creatures seem to walk right out of his nightmares and into reality. Abandoned as a child and raise by Buddhist monks, Elisse eventually finds himself in New Orleans, surrounded by even stranger visions and spiritual practitioners. Some will become like family while others try to kill him, and Elisse will need to develop confidence in himself and his powers as he faces the intentions of both monsters and men. Elisse is a young and sensitive boy, withdrawn but resilient after an early life of struggle. His vulnerable inner monologue secures audience empathy. Elisse also has the power to see into other planes of existence; his detailed descriptions of the terrifying creatures he sees are unnerving. As Elisse meets other powered beings, he grows more outspoken and determined; his character evolution is marked by decisions to face conflicts instead of run from them. Elisse meets many people and spiritual beings in New Orleans who make up the cast of supporting characters. He is taken in by a tribe of shapeshifters that follow some Native American traditions, though not all of their members are Native and Elisse himself is described as white. One of the tribe leaders, Tared, becomes attached to Elisse and, while their connection is rushed, it is supported by clear emotional and psychological descriptions. Depictions of the tribe members transforming into their animal ancestors are captivating. Still, the way that the novel borrows from Native and Voodoo spiritual traditions, and the fact that their practitioners and entities are quick to abandon their people and practices to protect Elisse, could be seen as problematic—as could be the fact that Voodoo practitioners and spirits are the novel’s primary villains. Conflicts related to them are continual. They drive the novel forward, if the villains’ motivations are not always clear and some of their subplots are anticlimactic. Elisse narrates, as does another being who speaks in the second person. While most characters are multidimensional, their voices sound similar. Accents are mentioned, but are not reflected in the dialogue. Further, the story’s direction is hard to discern at first. It seems to be focused on Elisse finding his father, but those concerns soon fade as Elisse is hunted by various entities. His encounters and fight scenes with them quicken the book’s pace and make the story tense. By the end, most plot lines are resolved. Locations are rendered in beautiful detail, especially the inherent magic and energy of New Orleans. Historical details add context and realism. The writing style is poetic and emotionally focused, and imagery engages the senses.